As part of the cruelty-free movement, consumers are increasingly demanding cage-free eggs from producers. These preferences don’t merely apply to whole eggs purchased for personal use at home but for eggs used in manufactured food products as well. In response, hundreds of major retailers, restaurants and food manufacturers have committed to using only cage-free eggs, and most of them have promised to do so by 2025. Some states are even joining in. California’s Proposition 12 will require that all eggs sold in the state will have to come from cage-free hens by 2022. Other states will likely enact similar laws in the future. The practice of using cage-free eggs and responding to consumer demands is certainly a noble endeavor, but many experts suggest that commitments from the food industry may have been made prematurely and might not be possible. What will it take for the egg industry to meet the 2025 deadline for those who’ve committed to going cage-free? An estimated 75% of U.S. hens will need to be in cage-free production by the deadline, according to USDA’s Agricultural Marketing Service. To put that in perspective, less than 20% of all hens are cage-free currently. There are approximately 280 million laying hens in the U.S. overall, and farmers will need another 200 million cage-free hens to meet the demand. That doesn’t include the need created by others who will likely join the movement in the next few years. The American Humane Society (AHS) reports that with less than 70 square inches of space on average (about the size of a sheet of paper), hens raised in battery cages are the most intensively confined animals in agribusiness. United Egg Producers requires cage-free birds to have at least double the space of their confined predecessors, and farmers must provide hens with environments where they can exhibit natural behaviors and roam freely in an open area, usually a barn or poultry house, and sometimes outdoors. To comply, farmers will need to learn entirely new practices and either renovate their barns to accommodate this new approach or build new ones at great expense. Additionally, cage-free environments require more labor. 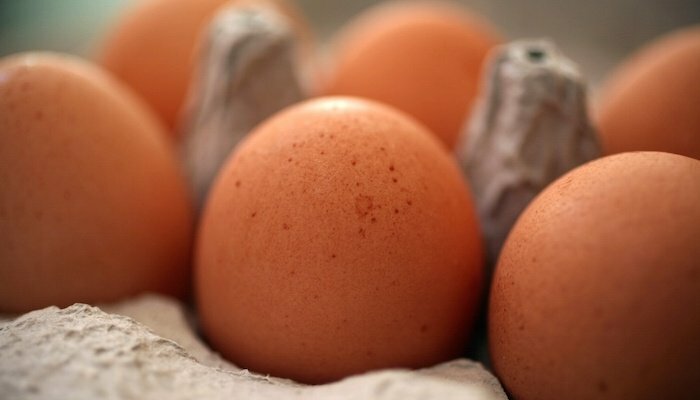 Eggs are dirtier and need more cleaning, and they need to be gathered more often throughout the day from throughout the facility. Rather than increase the size of poultry houses to comply, some in the industry have chosen to reduce their number of hens while increasing the number of employees to handle the extra labor. This movement, while undeniably a positive step toward animal welfare, also comes with an obvious price tag. Pricing of eggs has seen volatility in recent months and years and, today, the cost of cage-free eggs is nearing $3, according to the USDA. Will there be a shortage of cage-free eggs that will drive prices even higher? Common sense indicates that may be the case. No matter the outlook, companies will need to look for ways to mitigate the added expenses or resort to raising food prices to the dismay of cost-conscious consumers. Major restaurant brands are flocking to the cage-free movement, with McDonald’s, IHOP, Applebee’s, Burger King, Starbucks, Chipotle and many others switching to 100% cage-free eggs. Major retailers and grocery chains are also jumping on board, including Costco, Walmart, Target, Safeway, Kroger and more. Food manufacturers don’t want to be left behind. Companies including Nestle, Kraft, General Mills, Unilever, Campbell Soup Co. and many others have committed to the practice as well. Kraft Heinz is making some progress toward its commitment and reports that it currently sources 60% of its eggs from cage-free or free-range producers while Campbell Soup Co. reports only 16% compliance. In the end, it’s estimated that the transition will cost companies about $7 billion. The added costs aren’t surprising considering cage-free eggs come at a cost approximately twice that of conventional eggs. Many food producers and manufacturers have yet to determine if they can truly afford to go 100% cage-free with their products without passing those significant costs along to consumers. Consumers will certainly look more closely at labels as this movement gains momentum. They’ll also be looking at prices. Fortunately, there’s a practical solution that solves both “goodwill” and cost issues that result from using cage-free eggs: functional whey protein. Grande Bravo® functional whey proteins are used by many innovative food manufacturers to reduce or entirely replace eggs in a variety of applications. The move helps reduce and stabilize food costs, improve shelf life, reduce fat and calories and, in many cases, actually improve the texture of finished products. Because Grande Bravo is all-natural and ethically sourced from vetted dairy producers, it features a strict chain of custody that aligns with consumer preferences for animal welfare in addition to clean labels and ingredient transparency. Because of Grande Bravo’s water-holding capabilities, its viscosity and gelation properties are similar to that of eggs, though formulations do need to be adjusted for the removal of eggs. One bakery replaced eggs in a cookie formulation with whey protein and was able to maintain the original formulation’s taste and texture, and stabilize raw material prices. To better understand how easily such a switch can take place, view our quick recipe video showing how to make egg-free chocolate chip cookies. Food manufacturers can expect the cage-free egg movement to be a long-term, mainstream change in the way products are sourced and made. The sooner formulations are changed to reflect consumer preferences for cage-free eggs, the sooner manufacturers taking advantage of practical options will be able to differentiate themselves — without the added costs. Want to talk about how you can replace or reduce costly cage-free eggs in your formulations? Our food scientists are eager to help you take advantage of our innovative products as you look to satisfy consumer demands. Simply reach out. And be sure to check out the cost comparison calculator below to show what type of savings you could expect.